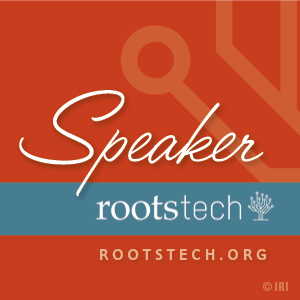 Tammy shows off Treelines in the RootsTech Demo Theater. What an amazing week it’s been! Treelines has now officially launched, and though the site is invite-only right now, our first users are starting to write and share amazing family stories we’re having so much fun reading! If you’re not on our waiting list, please go here to give us your email address. And if you already are, please be patient — your turn will come soon, promise! The week began with a great profile of Tammy by Joanne Wilson, founder of the Women Entrepreneur’s Festival. 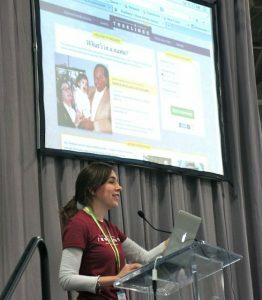 Energized by this awesome article, we were off the next day to Salt Lake City to launch at RootsTech! And what an exhilarating launch it was! 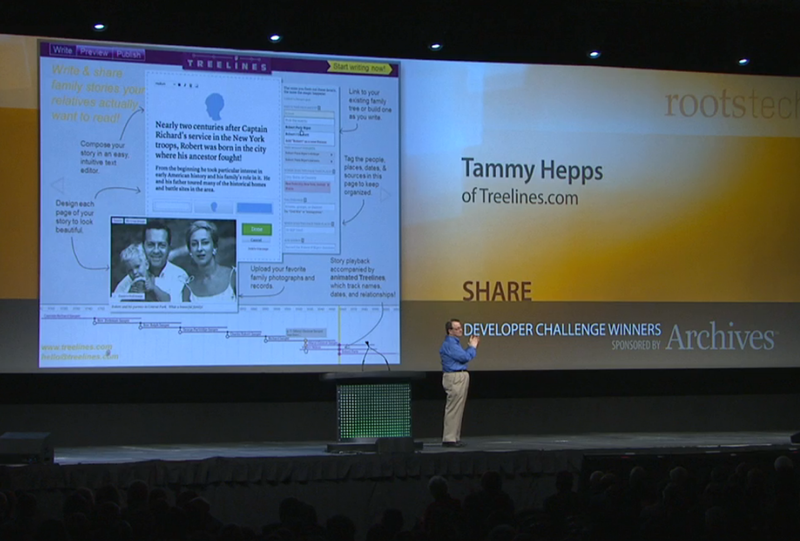 The moment during Friday’s keynote when Treelines was announced as the winner! 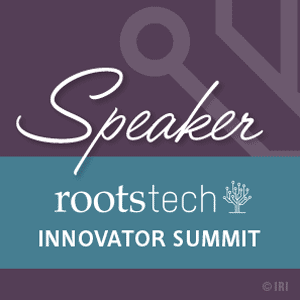 Friday morning we learned that Treelines won first place in the RootsTech Developer Challenge, and from there things got crazy! Our booth was inundated for the next two days with people wanting to find out more about our now award-winning storytelling platform, and Tammy did a number of interviews with people looking to learn more about Treelines and her own journey in genealogy. It was wonderful meeting so many of you in person and hearing how Treelines’ storytelling platform is the tool you’ve been looking for all along. We look forward to having all of you as part of our growing community of family storytellers. This entry was posted in Company news by Treelines. Bookmark the permalink. I saw your interview with Myrt (my momma!) and am so intrigued, can’t wait to try it out! Just sent you your invite. Your mother is wonderful! I was so excited to meet her after following her blog for so long.